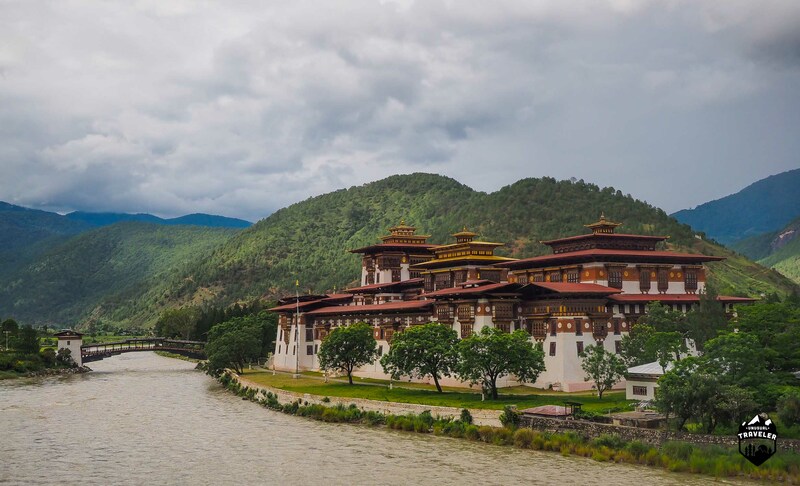 Bhutan, the land of the Thunder Dragon, is for many people the “holy grail” of travel destinations. Bhutan was closed to foreign travellers until 1974. In the first year that Bhutan opened up to tourism, only 287 tourists visited the country. 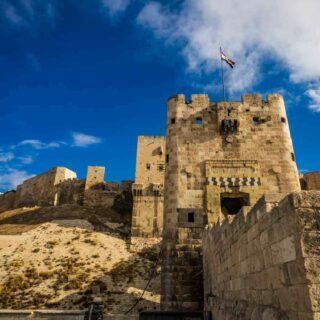 In 2015 the number had increased to 48,800 tourists visiting the country. More than 90% of these are Indian tourists. Bhutan is the unique travel destination in the world. Being such a unique country, it also demands unique rules to be followed. All tourists must obtain a visa before arriving in Bhutan. Visas are issued after you have made a full payment to the Tourism Council for your entire trip of Bhutan. The money remains with the Tourism Council until your trip inside Bhutan is complete. The travel agency is paid once you have left the country. Bhutan no longer restricts tourist numbers and operates an open door policy. ONLY citizens of India, Bangladesh, and The Maldives can travel to Bhutan without a pre-arranged tour. A passport with a minimum validity of six months from the date of departure from the country is required, and one must pay a fee of 40USD for the visa. There’s a 16 USD fee if you want to extend your stay. The High season fee is the government-set fee of 250 USD each day in the months of March, April, May, September, October, and November. The Low season fee is 200 USD for the months of January, February, June, July, August, and December. There’s also a surcharge of 40 USD, for each day if travelling alone. So the fee is 290 USD each day in high season and 240 USD a day in low season if you’re travelling alone. From your daily fee, 65 USD is used to provide free education and healthcare for the locals in the country. 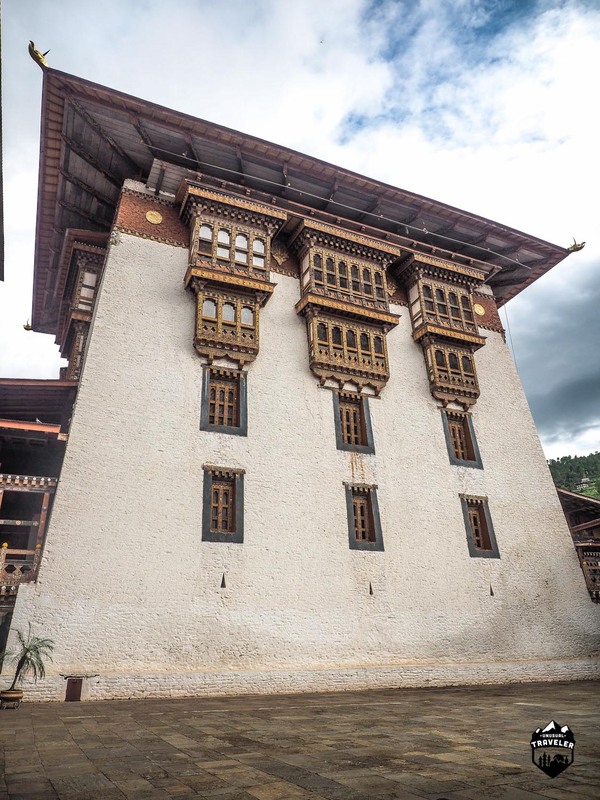 The Utse of Punakha Dzong. What does the daily fee include? A minimum of 3-star accommodation. All transportation inside Bhutan, except flights. Camping equipment, horses, to carry your gear, a cook, and a lunch boy when hiking. “My car” during my stay in the country, in front of my hotel in Paro. The 3-star hotels in Bhutan hold a much higher standard than 3* star hotels in the neighbouring countries Nepal and India. 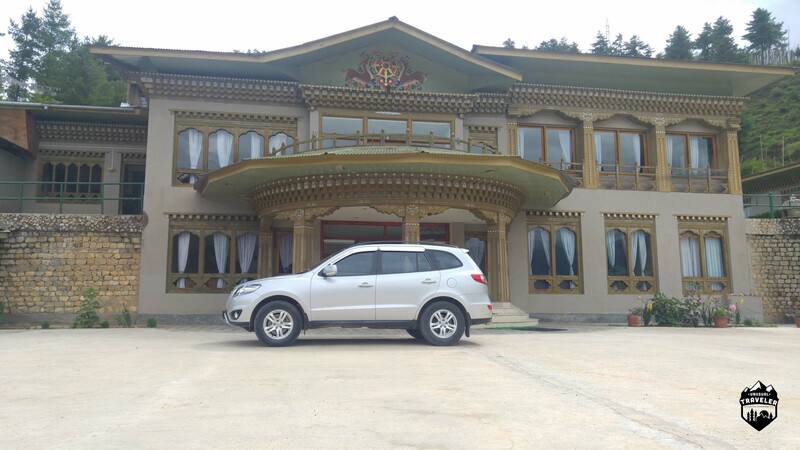 You will get a new model of private car with an experienced driver during your entire stay in Bhutan. Any restaurant allowed to serve food to foreign travellers has to be authorised by Tourism Council of Bhutan. Accommodation during your stay in Bhutan. As mentioned, your accommodation during your stay in Bhutan is included in your daily fee, so you don’t need to worry about hotel bookings. All hotels that are allowed to accommodate tourists have been approved by the Tourism Council. 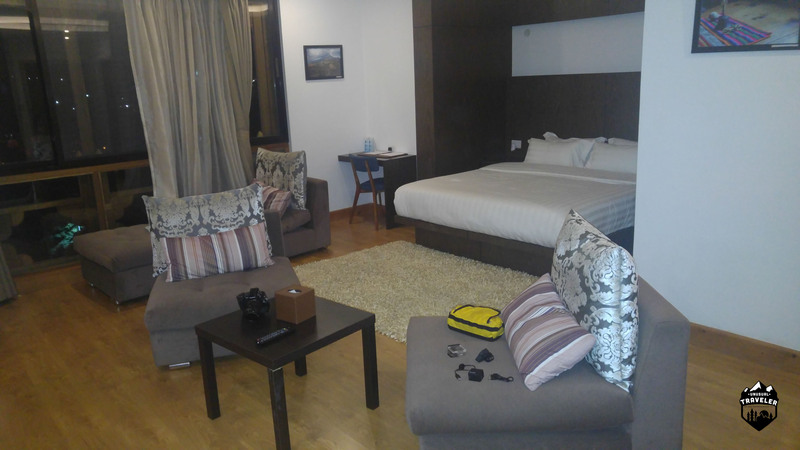 I stayed in two different hotels during my stay in Thimphu, first when I arrived at the airport, and then when coming back to Thimphu from my trip to the northern part of the country. Getting to “The Land of the Thunder Dragon” is an adventure on its own. 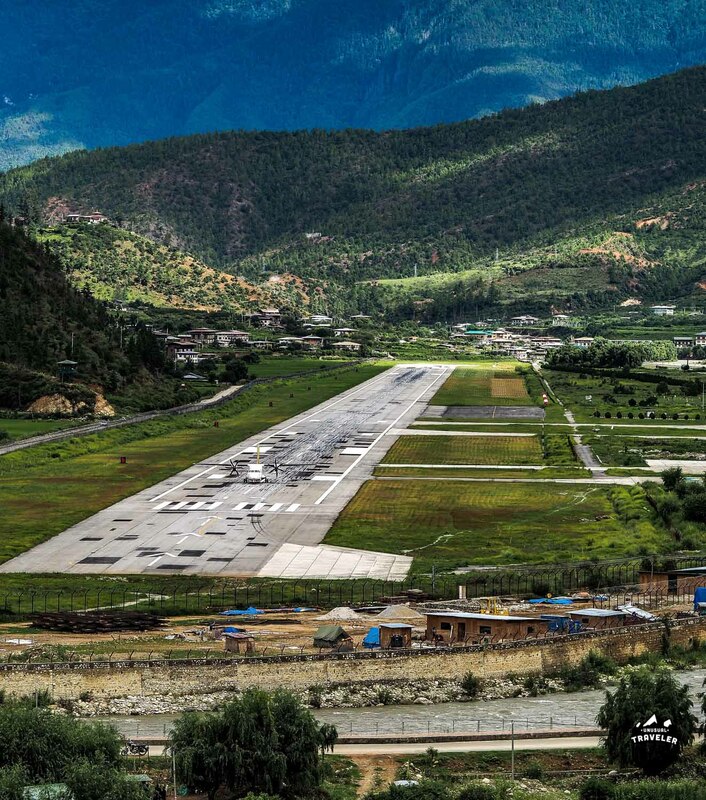 The country’s only international airport is located in Paro, and landing there is a thrilling experience. Both landing and takeoff must be completed manually, and only eight pilots in the world are certified to land and takeoff from Paro International Airport. There are currently only two airlines flying to Paro Airport. 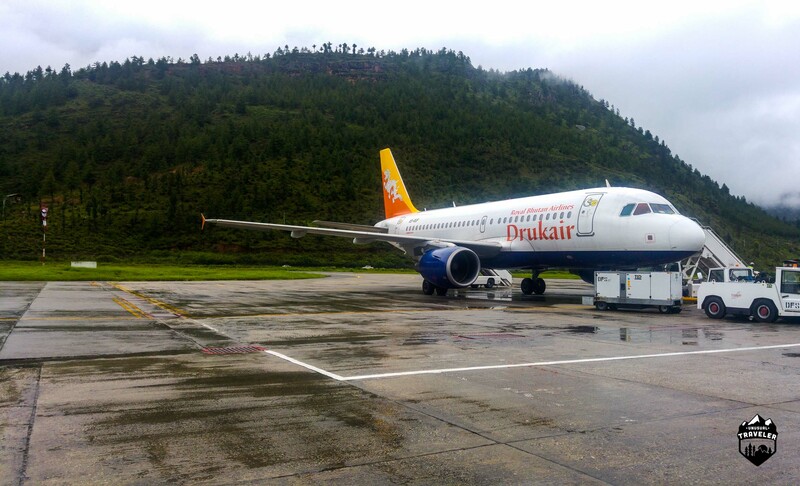 Druk Air, the national airlines and the privately owned Bhutan Airlines. Overview of Paro International Airport. Only one runway. National Airline of Bhutan, Druk Air. Two airlines currently have flights to Delhi, Kolkata, Mumbai, Bagdogra, Guwahati & Gaya in India, Kathmandu, Bangkok, Dhaka & Singapore. Flights to and from Paro are only allowed under visual meteorological conditions and are restricted to daylight hours from sunrise to sunset, so delays are very common. My flight from Paro to New Delhi was delayed by three hours because of heavy rain. If flying is not an option, Bhutan has three land border crossings with India, Phuntsholing in the west, Gelephu in the central region and Samdrup Jongkhar in the east. There are NO open borders between Bhutan and China. How to Choose the right Travel Agency. As you already should know, the only way to travel to Bhutan is with a pre-arranged tour through a licenced travel agency in Bhutan. There is almost two thousand Government licensed travel agencies so it can be difficult to pick the right one. Four of the big agencies receive more than 95% of all the tourists visiting. All of the Travel Agencies in the country must follow strict government rules about only visiting government authorised hotels, restaurants etc. It does appear that the big companies always go to the same restaurants etc. I booked with a smaller agency, so I had more freedom choosing which restaurants I wished to visit (they still have to be authorised by the Tourism Council). After ten days of local food, I was craving for a hamburger, so we ended up going to a gourmet hamburger restaurant that was run by an Australian woman. The big travel agencies would have never taken me to a restaurant like that. I used the small Travel Agency “Breathe Bhutan”, that is run by the friendly Kinley, that went out of his way to make my trip the trip of my life. I would book with them again without a doubt. Currency and money in Bhutan. 100 Bhutanese Ngultrum (BTN) = 1.5$ USD. 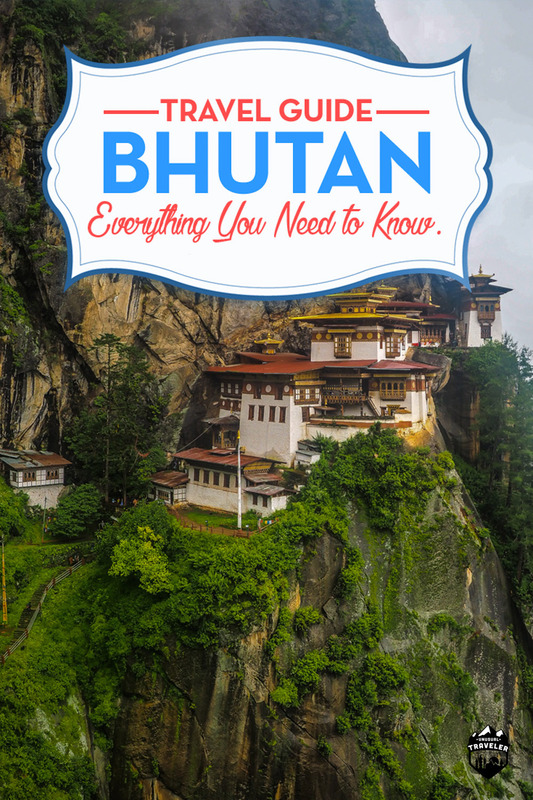 The Bhutanese Ngultrum is bonded 1 – 1 with the Indian Rupee, and you can pay everywhere with Indian Rupee. It’s common to pay and receive change in both BTN and Indian Rupee. There are ATMs in the big cities that also accept VISA and Mastercard. The local banks charge a 180 BTN fee for EACH withdrawal. The local banks have a withdrawal limit of 40 000 BTN (about 600 USD) a day. Bhutan is the unique country in the world! There are no other countries in the world that are close to this amazing country. Bhutan is probably one of the few countries I’ve visited offering me what feels like an entirely authentic experience. It’s so refreshing to visit a country where you will not be hassled by annoying vendors outside of the famous sights, or people demanding money to take a photo of them in their traditional dress (like in China). 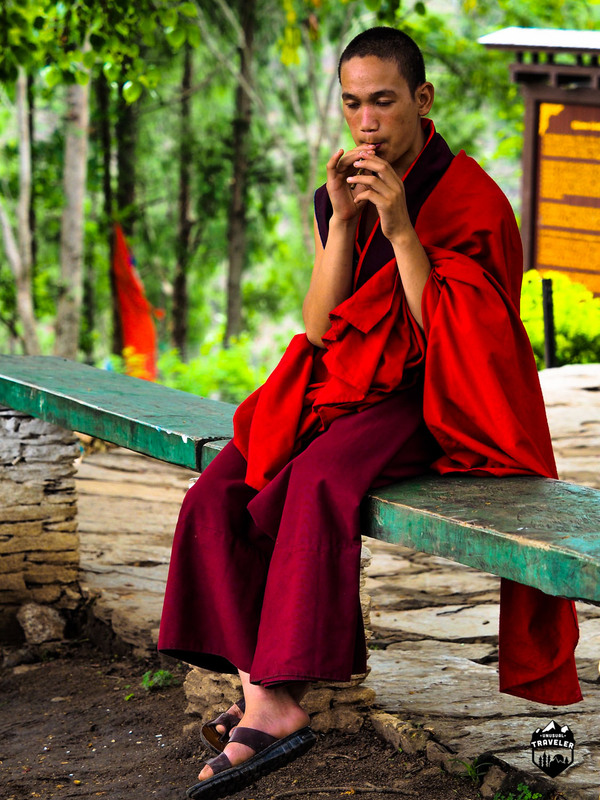 A Bhutanese monk playing his homemade flute in a small monastery. There are two mobile network providers in Bhutan: B-Mobile and Tashi Cell. B-Mobile offers Tourist Sim Card for 100 Bhutanese Ngultrum. That’s about 1.5 USD. Tashi Cell sells normal Sim Card for 200 Bhutanese Ngultrum about 3 USD. 99 BTN can buy 475 Mb data with B-mobile. 99 BTN can buy 400mb data on Tashi cell. There are 2g and 3g connections in large parts of the country. I had a stable 3g connection even in Gasa and 2g all the way up in Laya. Every tourist hotel in bigger cities offers a decent WIFI connection. Bhutan is probably the safest destination in the world for travellers. Crime against foreigners is completely unheard of. No specific vaccination is required to visit Bhutan, but as in all other Asian countries, the basic vaccinations are recommended. Especially an updated Rabies vaccination since the street dog population is very high. Most of the dogs are extremely docile, and there are very few cases of tourists ever being bitten. Only drink purified or bottled water. All the local beer types that´s offered in the country. 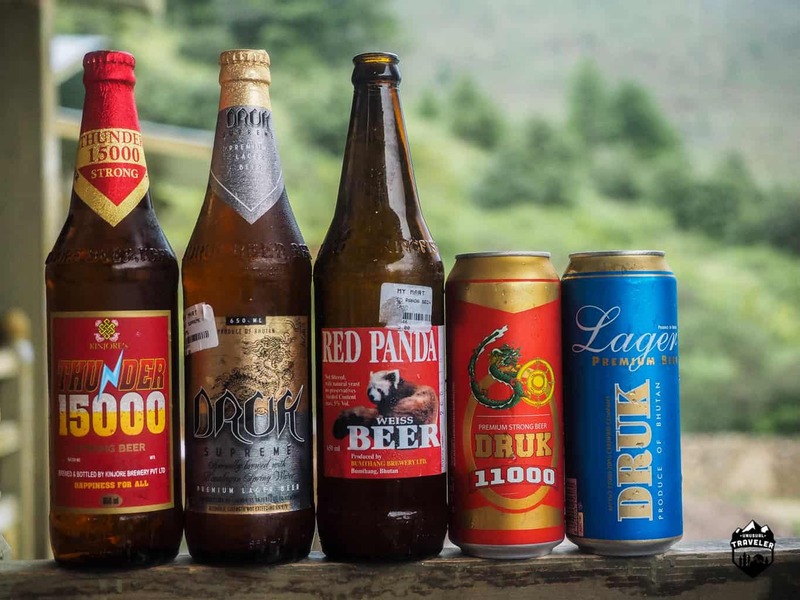 Alcohol is cheap and widely available in Bhutan. There are five local beers that are brewed inside the country. Thunder 15000, an 8% strong beer, Thunder 1100 8%, Druk Supreme 6%, Druk Lager 5% and Red Panda 5%, a wheat beer. The beer quality in Bhutan really surprised me. The local beer was much better here than in the neighbouring countries with the Red Panda being my favourite. But for some reason Fosters, the worst beer in the world is popular in the country. Bhutan also makes its own whisky and wine. Just like the beer, the whisky quality also surprised me. The local whisky, Highland, Special Courier and K5 (by far the most expensive) are really good. Scotland watch out! Is Bhutan worth the Money? Yes! I have now been to every country in Asia, and I can easily say from my own experience, that the land of the Thunder Dragon is very special. Yes, it’s expensive. My two week trip to Bhutan actually cost me about the same as my three month trip to India earlier this year. Actually, my trip to Bhutan is by far the most expensive single trip I have ever taken, but it’s also the trip where I feel I have gotten the most value for my money. I’m definitely going back to Bhutan, and I will have no problem paying the high daily fee again, and to be honest, I hope Bhutan will never remove the high daily fee. Bhutan is the last country in Asia where you can truly experience an authentic culture. Luckily Bhutan holds a strict visiting policy that I hope will last forever, so it doesn’t sell its soul. Did you take the photo of the monk playing the flute? It’s a lovely shot! Lovely place… Beautiful nature and interesting architecture. Thank you for this post! Am going in a few months’ time, can’t wait to discover Bhutan for the first time in my life! I was in Bhutan 3 years ago, a wonderful, beautiful country ?? Great to see a very useful travel guide of my country and what a stunning photos of the Paro runway and Punakha dzong. Curious to know where you took that runway shot from. I am planning to solo trip to bhutan for seven days with A budget of around INR 40000/- all inclusive except air fair from kolkata. Is it possible and how ? What are the cheapest option to travel Bhutan ? Any good idea ? From Kolkata will the cheapest way to travel by direct bus. The bus depart from Kolkata’s Esplanade bus station at 7PM on Tuesday, Thursday and Saturday and from the Phuentsholing Bhutan Post office at 3PM on Monday, Wednesday and Friday. The journey takes around 18 hours and costs 300Rps/Nu. wow, a really amazing article about Bhutan. Keep sharing such articles.